Adapted to living “up north” when compared to their close relatives the Homo sapiens may have led to the demise of the Neanderthals according to a new study published in the academic journal “The Proceedings of the Royal Society B (Biology)”. A study of the size of the orbit (eye socket) in Neanderthal skulls indicates that these hominids had larger eyes than our own species, perhaps an adaptation to the shorter day length of northern latitudes where Neanderthals lived. The long, dark European and near eastern Asian nights may have inadvertently led to the eventual extinction of the Neanderthals, a species of hominid believed to be most closely related to ourselves. Most palaeoanthropologists believe that H. sapiens and H. neanderthalensis shared a common ancestor (Homo heidelbergensis). The Neanderthals thrived in Europe and they are the best known of all the fossil hominids, with fossils having been found in much of Europe and into the near east. The Neanderthals are believed to have evolved around 350,000 years ago and are thought to have persisted until around 28,000 years ago (although recent studies have suggested that Neanderthals may not have survived until as recently as 30,000 years ago). If these sophisticated and highly intelligent hominids had large eyes, than more of their brain space would have been dedicated to processing optical information and therefore, perhaps, less of their brain volume could be dedicated to higher functions such as social interaction, communication, thinking and planning. In contrast, the larger frontal brain portions of our own species allowed us to create clothing sewn together through the use of cleverly fashioned bone needles, better than the clothing and simple fur wraps worn by Neanderthals (we think). Larger anterior portions of our brain may have helped us to develop wider social networks, a bigger circle of friends to help us when times were hard. The British research team considered the idea that as the ancestors of Neanderthals left Africa and moved into higher latitudes, so they had to adapt to longer, darker nights and much shorter day lengths so typical of living in the United Kingdom today. This resulted in a greater portion of the posterior part of the brain being dedicated to processing visual data. For those hominids that remained in Africa (the ancestors of our own species), they lived in a much brighter environment with long, sunny days with a rapid deterioration of daylight and a brief dusk period, so typical of living in parts of the world much closer to the Equator. DPhil student Eiluned Pearce of the Institute of Cognitive and Evolutionary Anthropology (Oxford University) examined the skulls of thirty-two specimens of H. sapiens and thirteen specimens of H. neanderthalensis. She found that the Neanderthal skulls had significantly larger orbits. The eye sockets were larger by an average of 0.6cm when measured from top to the bottom. In evolutionary terms, this difference, not recognised until now as a morphological difference between type specimens of these two species of humans, may have been enough for the Neanderthals to dedicate more of the brain’s processing power to analyse, interpret and process visual data. The Neanderthals were very well adapted to living in a cold, harsh climate, much better than our own species. However, scientists have puzzled over the reasons for the demise of the Neanderthals. They seem to have co-existed with modern humans in some parts of their habitat for a few thousand years, but the Neanderthals did eventually become extinct, leaving modern humans to ponder over the reasons for their decline and eventual extinction. The more visually-focused brain structure might have affected the Neanderthal’s ability to innovate and to adapt to changing climatic conditions. Did the large eyes of Neanderthals eventually lead to their extinction? A spokesperson from Everything Dinosaur stated that a number of theories had been advanced over recent years to help explain the extinction of the Neanderthals and the survival of H. sapiens. Although, Neanderthals may have had a slightly larger cranial capacity when compared to our own species, their brains may have been “wired” differently. 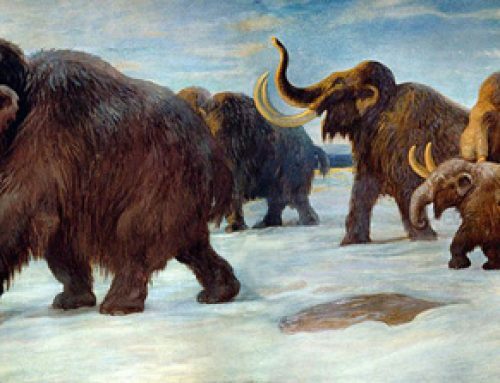 Smaller family groups, shorter childhoods and a greater reliance on hunting megaherbivores may have all been contributory factors that led to the decline and eventual extinction of this species of hominid.